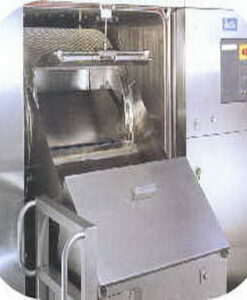 The Automatic Bottle Washer is an ideal companion to any automatic filling line. 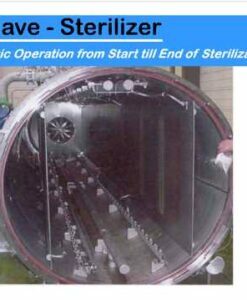 The Bottle Washer can utilize compressed gas, washing liquid, sanitizing liquid, or rinse liquid to clear debris or sanitize your containers prior to filling. KEW ‘s Automatic Bottle Blower ships complete with an Automatic Bottle Indexing (ABI) System, valves and manifold with up to 12 nozzle jets, recovery basin, and a soft grip bottle grabber all based on a heavy-duty Stainless Steel frame. 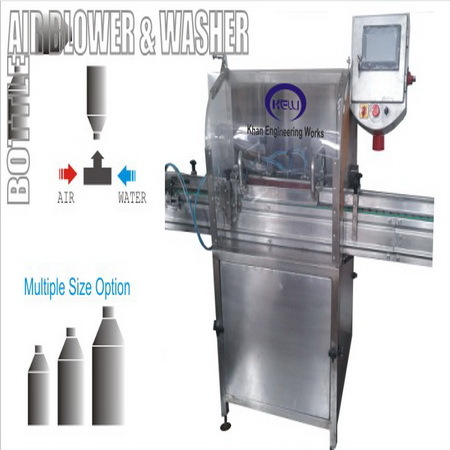 Automatic Bottle Rinser is a PLC operated machine controlled by an easy to use color touch scree display. 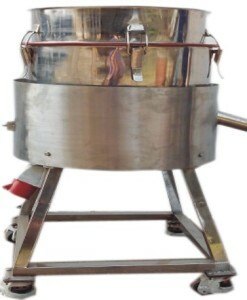 The bottle rinsers c-frame design allows it to be used with any existing conveyor and can be set up can be in minutes. The versatile components and easy change over parts allow bottle change over to be completed in minutes. The “No Bottle – No Rinse” feature ensures that no chemicals or water is wasted if the bottle rinser work area is not full. 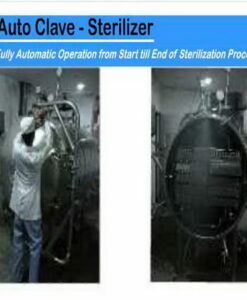 Multiple Cleaning Methods (a) Compressed Air (b) Liquid Rinsing (c) Hot Air Drying & Sterilizing (d) Combination of the first three. Single, Dual and Tripple Action. Multiple Bottle Sizes per machine (depending on the bottle sizes.